Q&A: Does Breakfast Size Affect Dieting and Weight Loss? 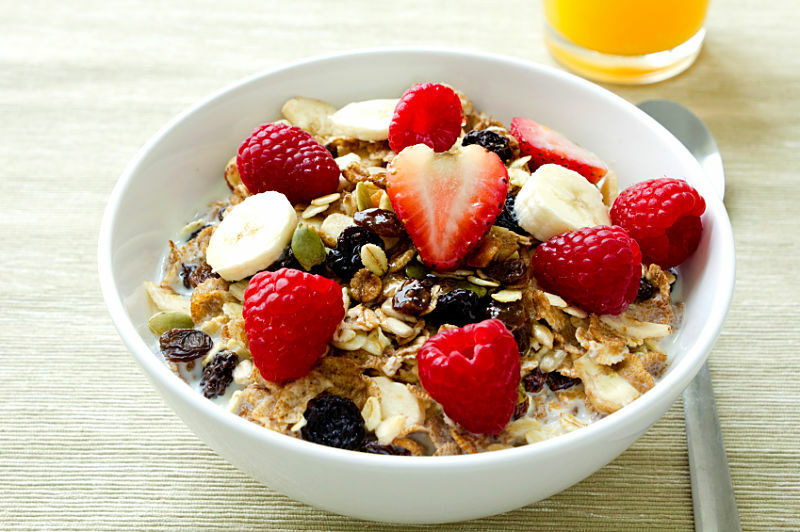 Dieters are often told to have a substantial breakfast, and reduce lunch and dinner to help lose weight. 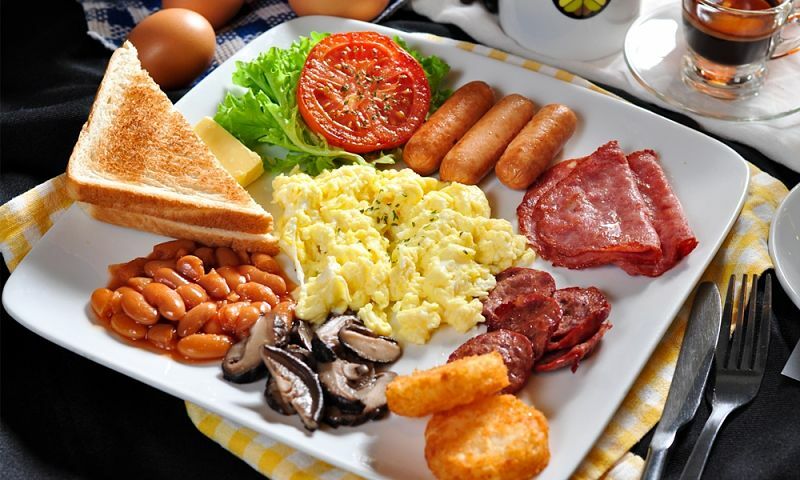 The idea is that eating a relatively large protein-rich breakfast will reduce hunger and food cravings and lead to a reduction in the total amount of food consumed during rest of the day. Breakfast is also regarded by many as the most important meal in the day to provide the energy you need to start you days' activities. The subjects were asked to kept detailed records of everything they ate over a fortnight. The records were made as accurate as possible by asking the subjects to record the food eaten as soon as they ate it. For both groups, a large breakfast simply added to the number of daily calories they consumed. Whether they ate a large breakfast, a small one or none at all, their non-breakfast calorie intake remained the same. Increasing breakfast energy consumption, led to an increased overall calorie intake in both obese and regular weight subjects. The results showed that there was a correlation between absolute number of breakfast calories eaten and daily energy intake. Eating a big breakfast is just adding calories. 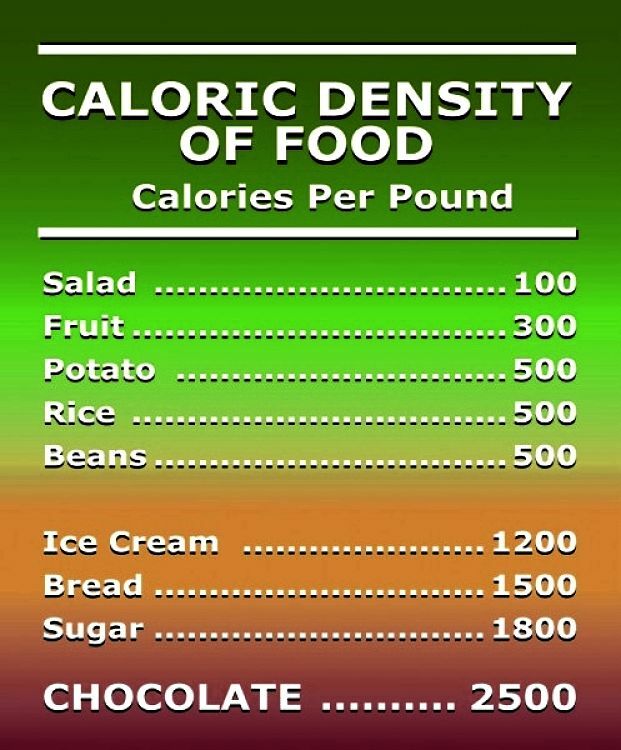 Most people will never compensate by eating fewer calories later in the day. The recommendation from the study was that overweight and obese subjects should consider reducing breakfast calories to reduce their total daily energy balance. 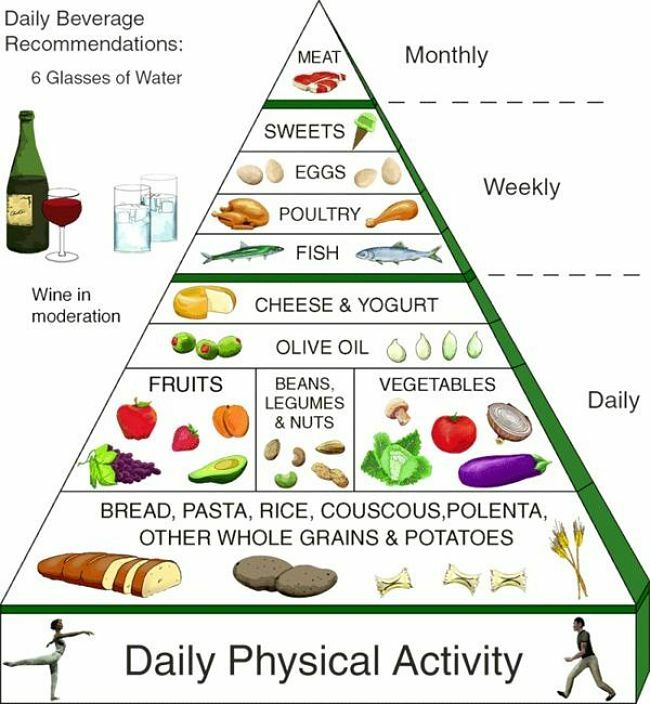 The study found that the foods most often responsible for the variations in daily calories were yogurt, bread, eggs, cheese, sausages, marmalade and butter. People ate the same at lunch and dinner, regardless of what they had for breakfast. 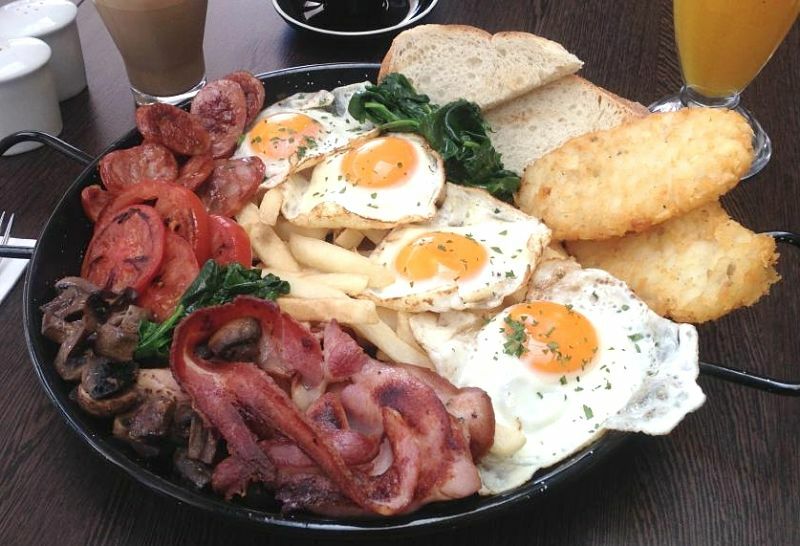 Some people skipped the mid morning snack after eating a really big breakfast, however this was not enough to offset the extra calories they had already eaten. 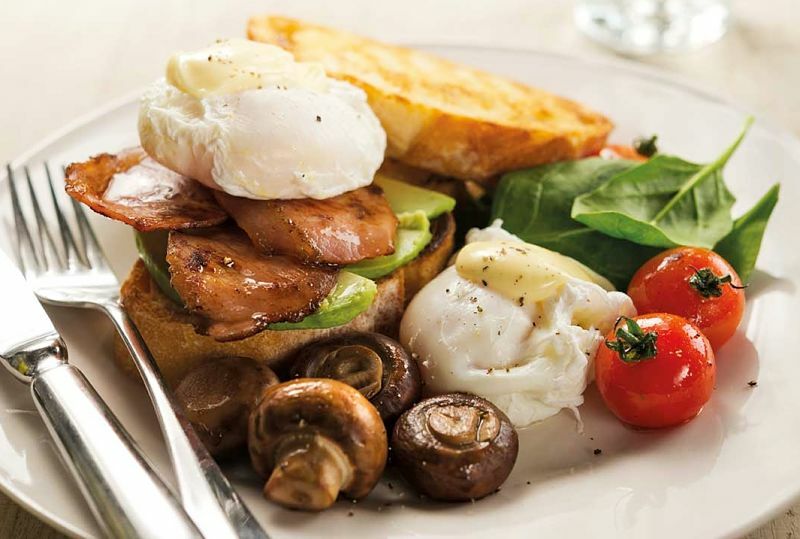 The findings of the study presented above appear to contradict the advocates of the "Big Breakfast Diet"
It has long been claimed that if you want to lose weight, start dieting at dinner, not breakfast. For example, many claim that a big breakfast (e.g., cereal, toast and egg) can prevent mid-morning, afternoon or evening cookie binges. 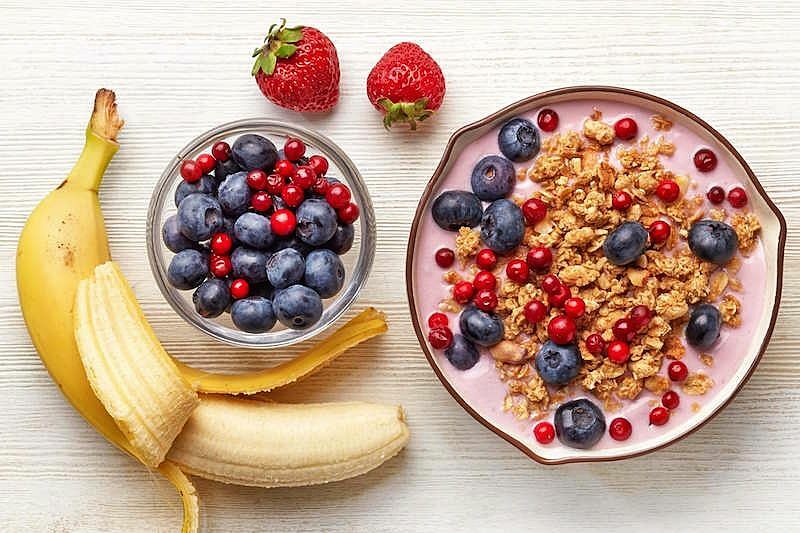 An adequate (i.e., 500- to 700-calorie) breakfast will provides enough energy to enjoy exercise, instead of flagging and being tempted to eat junk food. Dr. Daniela Jakubowicz and her colleagues in 2008, conducted a study that compared the effectiveness of a low carbohydrate diet to a diet that included a big breakfast with a moderate intake of carbohydrates. Even though those on the big breakfast diet consumed 155 more calories a day, after eight months the members of the big-breakfast group lost more than 21% of their body weight compared to just 4.5% for the low-carb group. This study showed that the long-term effectiveness of a diet depends on its ability to reduce carb cravings and increase the sense of 'fullness' in the dieter. The study compared their new 'Big Breakfast' diet with a strict low-carb diet in 94 obese, physically inactive women. A group of 46 women were on a very-low-carb diet, which allowed them to eat 1,085 calories a day. 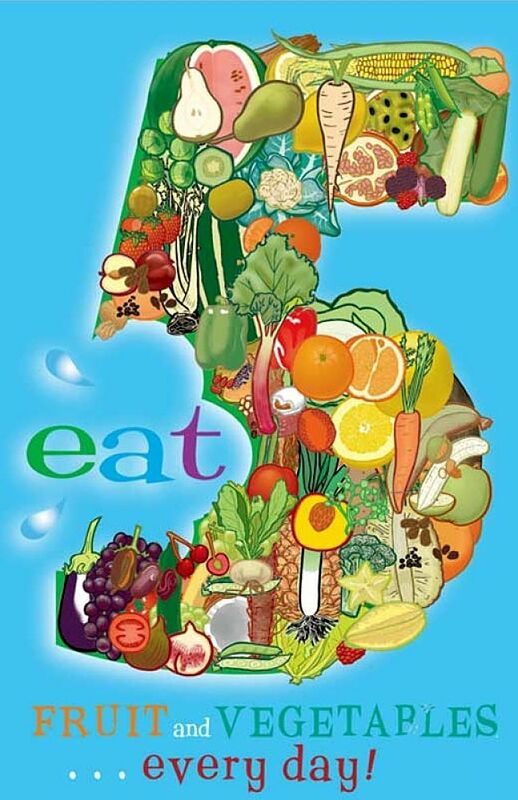 The daily diet consisted of 51 gm of protein, 17 gm of carbohydrates and 78 gm of fat. 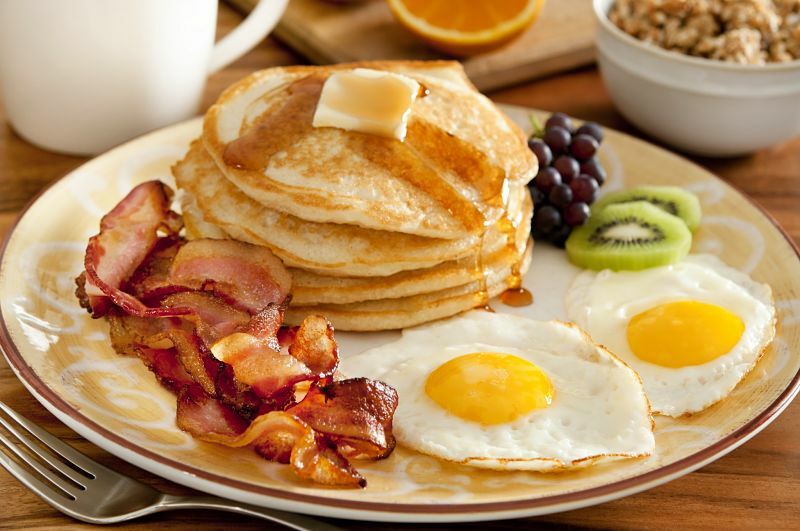 The lowest calorie meal was breakfast, consisting of only 290 calories (7 gm of carbohydrates, such as bread, fruit, cereal and milk; 12 gm of protein, such as meat and eggs). Another group of 48 women were put on the “Big-Breakfast Diet.” They ate 1,240 calories a day on a diet that was higher in total fat (46 gm) than the previous diet, and had higher daily allotments of protein (93 gm) and carbs (97 gm). These subjects consumed a big breakfast of 610-calories, including 58 gm of carbs, 47 gm of protein and 22 fat gm. Lunch was 395 calories (34, 28 and 13 gm of carbs, protein and fat, respectively); dinner was 235 calories (5, 18 and 26 gm, respectively). After four months, there was no significant difference between the weight loss of the two groups. The women on the strict low-carb diet dropped an average of about 28 pounds, and the women on the 'big-breakfast' diet lost nearly 23 pounds on average. 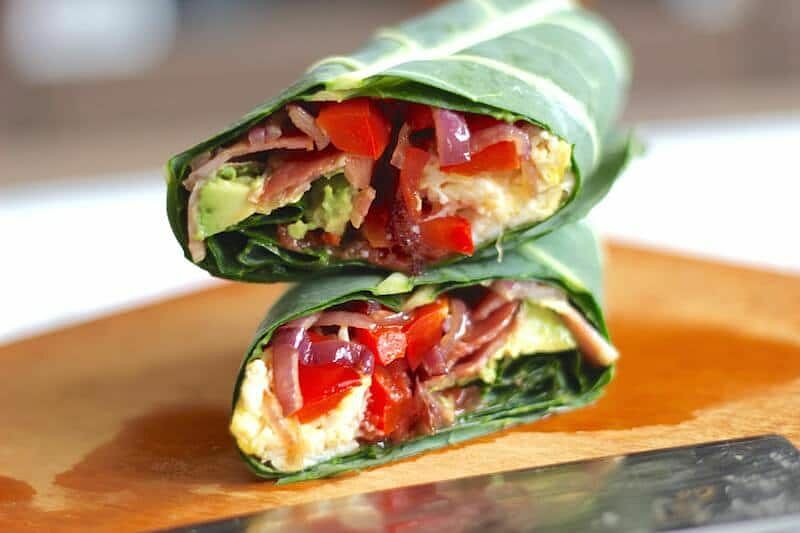 However after 8 months, the low-carb dieters had an average weight increase of 18 pounds, while the Big-Breakfast group continued to lose weight, shedding another 16.5 pounds. Subjects on the Big-Breakfast diet has a net weight loss of more than 21 % of their body weight, compared with about 5 % for the low-carb group. Note that this occurred despite the Big-Breakfast group eating more calories. The women who ate a big breakfast reported feeling less hungry, especially before lunch, and having fewer cravings for carbs than the other women did. Jakubowicz has claimed in her book that big-breakfast diet is successful because it reduces appetite and cravings for starches and sugars. It also is a lot healthier than an extremely low-carbohydrate diet, because dieters can eat more fruit and therefore get more fibre and vitamins in a natural form. Jakubowicz claimed that she has successfully used the diet in her patients for more than 15 years. 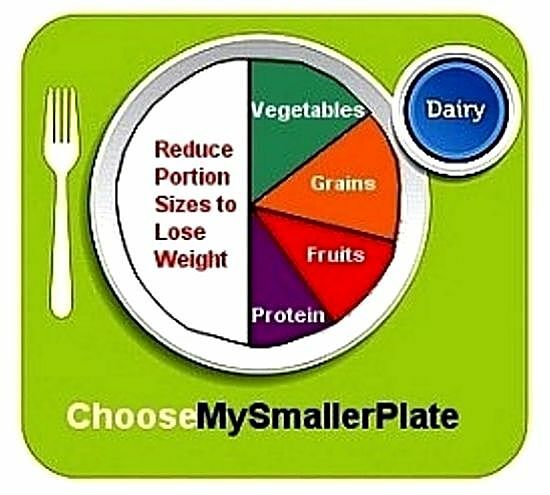 Another major approach to dieting is to control the portion sizes. Eating a large breakfast may not help with this strategy as you start the day with an Up-Sized portion. Portion Size Affects How Much People Consume in an Eating Occasion. Short-term studies have show that people eat more when they are offered larger portion sizes. One study tested how adults responded when given meals of 4 different portion sizes of macaroni and cheese on different days. The larger the portion size, the more participants ate. Participants consumed 30% more energy (162 calories) when offered the largest portion (1000 g) compared to the smallest portion (500 g). They also reported similar ratings of hunger and fullness after each meal despite the intake differences. After the study, only about 50% of the subjects reported that they realized there were differences in the size of the portions served. In another study men and women who were offered different size (12 inch, 10 inch, 8 inch and 6 inch) sub style sandwiches for lunch on 4 different days. The subjects ate significantly more as the size of the sandwich offered became larger. In another study people in a restaurant were served soup from standard bowls to determine their customary intake. On the 4th day, researchers secretly substituted special trick soup bowls that slowly refilled from a secret reservoir under the table as the contents were consumed. Both obese and lean participants ate more than their usual portion. The participants were told about the trick, and their intake was measured over the next 6 days. Non-weight subjects adjusted their intake while obese participants continued to overeat. Studies on portion sizes of snacks have had similar results. Researchers on 5 separate occasions gave women and men an afternoon snack of potato chips in packages that looked exactly the same. However their contents were progressively enhanced in size (from 28g to 170g). For both women and men, the snack consumed increased substantially as the package size increased. Women ate an average of 18% more and men 37% more when served the 170g bag, rather than 85g bag. Notably, when dinner was served several hours later, subjects did not reduce their meal sizes to compensate for the differences in snack intake. The combined calorie intake from the snack and dinner increased significantly for both men and women when the larger snack was consumed. Of course, eating larger portion sizes at one eating occasion, will not cause weight gain unless it contributes to a total eating pattern in which a person consumes more calories than he or she expends.